The result is a grainy image that reveals a surprising amount of detail; Australia marks the dark-reddish blob in the middle of Earth’s disk, with southeast Asia at the top and Antarctica at the lower left. Even the Moon has some decent detail, with darker maria clearly visible. 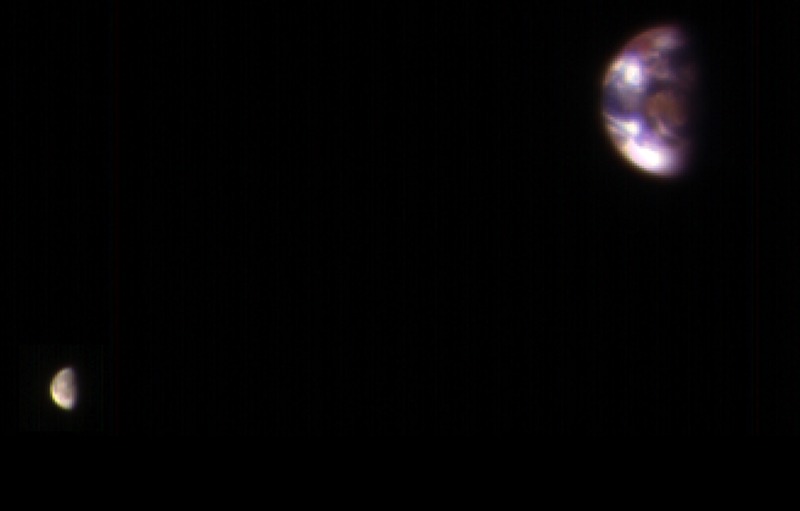 This isn’t the first time HiRISE took a look back home; it snapped a pic of us back in 2007. They’re taken for the purpose of calibrating the camera so that it can continue to image Mars’ surface. But every picture tells a story, and this one is no exception. It’s the story of a small blue world and its moon, floating in the darkness. It’s the story of us.